Auction Closed. Sold via Buy Now $800. Next Auction Monday Feb 11. I love all your work, but this one really pulls at myheart strings, and my aesthetic responses. Reminds me of my first visits to Veremont, 1963, and that Rutland struggles on, and will continue. thank you. I come from Greenfield,MA. This painting makes me want to drive to Rutland to see the town myself. Hi Peter – I am from Rutland, grew up in the gut ! Made a couple of moves, as a high schooler lived in Fair Haven and as an adult Springfield . 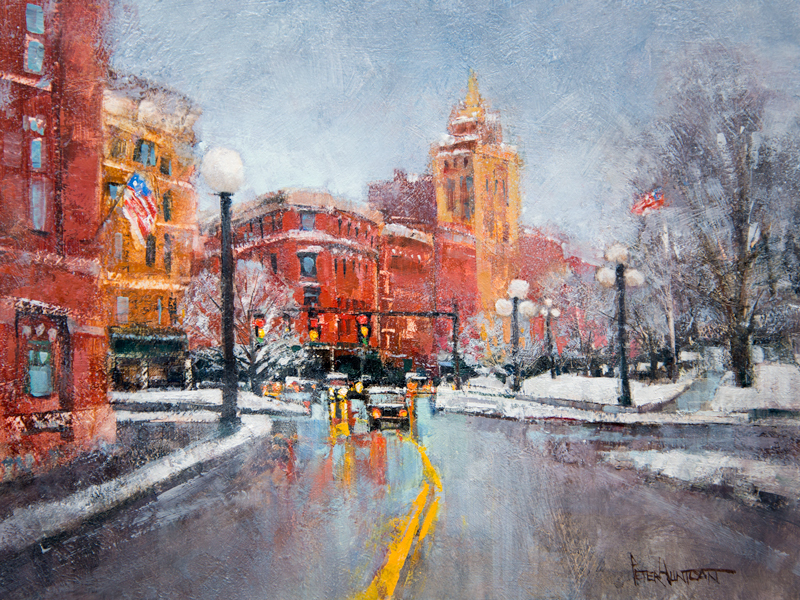 I enjoy all your paintings but especially love the Main St/ Downtowns of familiar places ! Thanks for the memories ! Your painting captures the warm beauty of Rutland and evoked memories of walking that corner on the way to visit with the “Pickle Man” at the Farmer’s Market. Thank you for sharing your talent and your obvious love of this beautiful state. Love the subdued colors. Lovely! I really like this new view of downtown Rutland! You’ve captured the heart of the city. Great to see a new view of the Rutland downtown. 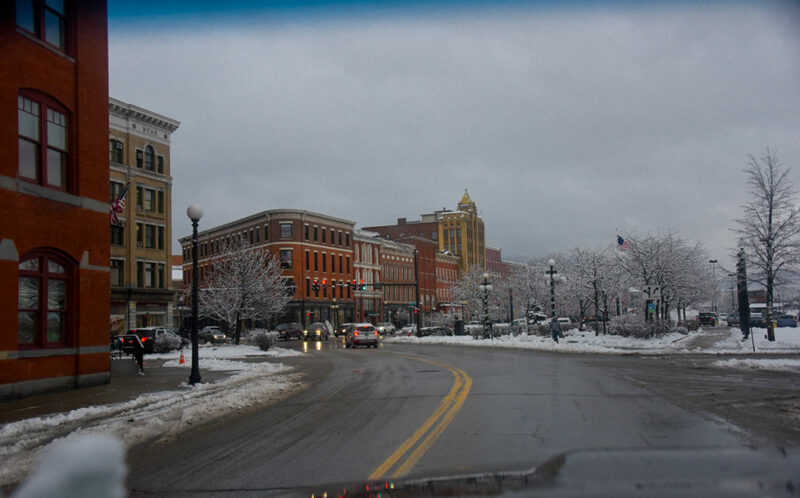 Another great view of Downtown Rutland. It certainly brings back memories from my visits to Rutland starting in 1965. I have prints of two of your other works of downtown. They’re still in storage from my cross country move but will be prominently and proudly displayed again. Thanks Peter. Beautiful as all of your paintings are. You are one very talented person. 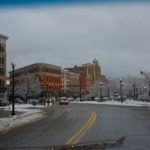 I have lived in Rutland my entire life and downtown has so many special memories for me. Peter you knocked it out of the park on this one. Your art is something that helps bring our community together and keeps that positive attitude on how Rutland is a special place to live. Great skyline view…. amazing architecture of the era and the distinctive street lights…. times gone by but you captured them for the present…. You captured an amazing skyline view….. days gone by architecture . Special street lighting is amazing.